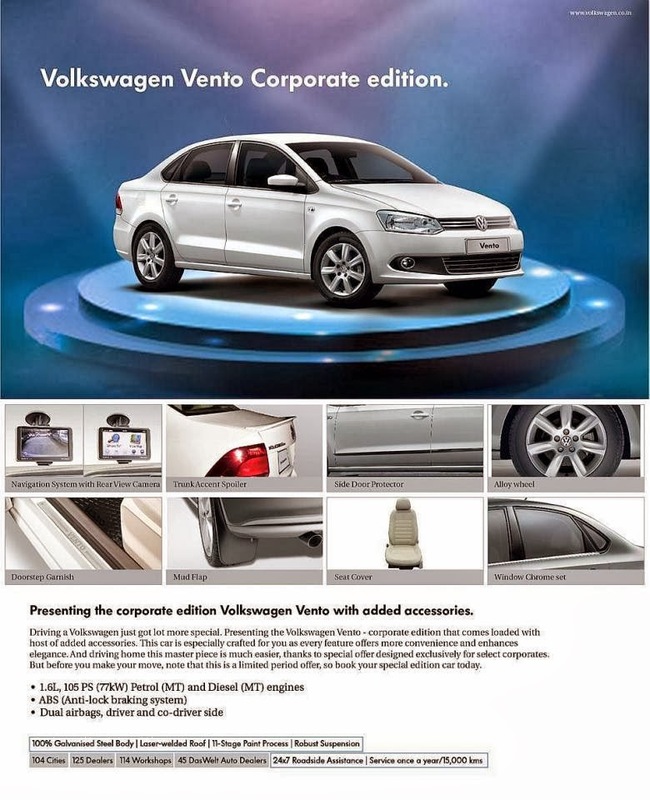 Volkswagen India introduced a "Corporate Edition" accessory package on Vento. The new accessory package can be introduced on any variant - Trendline, Comfortline or Highline and could also be added to any variant - Petrol or Diesel powered. If you notice, the VW Vento Corporate Edition model doesn’t have smoked headlights that were introduced late last year. Mechanically, the car remains the same. No other changes in the car. The existing features remains in the car as it is.